Mobile and smart devices, the abundance of sensors and the vast amount of data they collect and generate, and connectivity to the Internet of Things have made software omnipresent in our everyday lives. Due to the increased software content embedded in engineered products, managing product development is moving away from controlling hardware and software lifecycles in an isolated manner. Modern lifecycle management is increasingly trying to integrate all aspects of the product as it is being built. This trend is seen in various industries, but is perhaps most significantly affecting the way safety-critical devices are built. Regulations in these fields require developers to trace assets across the lifecycle. The problem is, traceability is impeded by the high number of (and lack of integration between) tools used in the various segments of the lifecycle. 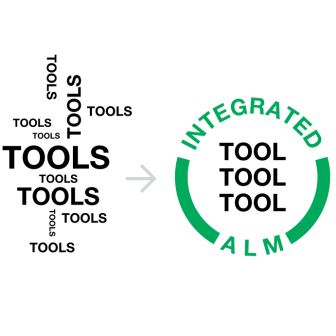 As a consequence, there is an increasing need to reduce tool friction between standalone software solutions by transitioning to integrated lifecycle management platforms which offer capabilities throughout the lifecycle. So overall, there is an increasing trend of companies from all industry sectors migrating towards integrated Application Lifecycle Management solutions. 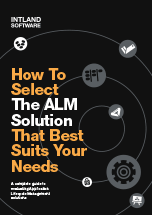 However, while the benefits of using integrated ALM are clear and the return on investment is easy to recognize (although quite difficult to calculate), the exact process of making the transition is still widely surrounded by uncertainty. To start with, a lot of companies think that once they make the decision to migrate to the ALM platform that best suits their needs, they will have to abandon all their previous tools and processes, and adopt entirely new ones. In reality, however, implementing integrated ALM doesn’t have to be a disruptive process. Although many companies find that a “rip and replace” strategy pays off, others decide to adopt certain features gradually, and keep using some of their tried and tested processes and currently used tools. They are able to do this because codeBeamer ALM, and a few other platforms on the market, offer integrations with a number of widely used third party tools. If there’s no integration out of the box, interfaces can be simply created via REST API to help communication and data transfer between tools. Therefore, data consistency is ensured even if some legacy tools are kept. The same goes for processes. While switching to a single pane of glass ALM solution is a good time to revise your processes, with a flexible enough ALM tool, there’s no obligation to change anything. But since your entire process will be mapped in your new platform, process visibility will no longer be a challenge. Another concern tends to be that of data migration. Large development teams with high numbers of requirements and other assets tend to worry about whether their new ALM tool will allow the migration of such large amounts of data. In fact, codeBeamer ALM has been tested with 10,000+ requirements, and was able to handle this extreme number of assets without problems. Some managers are concerned that due to lengthy deployment processes, the transition to integrated ALM is going to cause work to stall for weeks or even months. While a legitimate concern, this one shouldn’t be a cause of headache either: surprisingly short deployment periods are not unheard of in the ALM world. codeBeamer has been deployed in under 2 weeks at Medtronic’s Neuromodulation department. This department of the world’s largest medical technology company is working with 250 developers dispersed across the globe – yet the transition to codeBeamer was smooth, quick and painless. Not only can you make deployment a problem-free process, training can also be convenient. Not all ALM solutions have a steep learning curve: this case study of Medtronic Neuromodulation’s transition to codeBeamer suggests that choosing the right solution can help you realize value surprisingly fast. Overall, while some of the concerns about transitioning to integrated ALM are entirely legitimate, choosing a flexible platform to suit your ALM needs, and adequately planning your processes in advance can help make the migration to integrated ALM a smooth and efficient process. Do you have any questions about transitioning to integrated ALM? Drop us a line. Wondering how ALM works in practice? Start your free trial of codeBeamer ALM!